The name Sukacita Foundation will disappear, but the term Anak Unik (unique child) will persist. Get inspired by our work, experiences and free downloads of practical tools. For practical information about children with intellectual disabilities. Get inspired by our work, experiences and (free) downloads of practical tools. 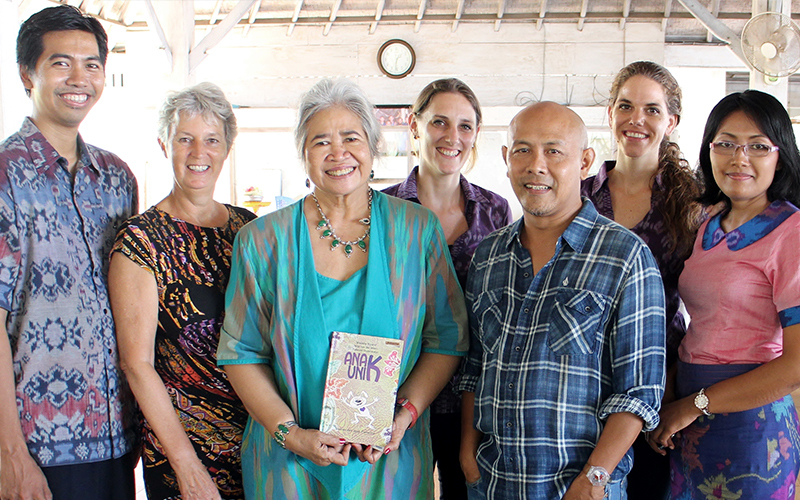 Sukacita held workshops in numerous schools and organisations on various islands around Indonesia. Attended by parents, grandparents, teachers, caregivers, nurses and psychologists. Sukacita Foundation operated in Indonesia from 2010 to 2018. The name Sukacita Foundation will disappear, but the term Anak Unik (unique child) will persist. Download the book Unique Child, the book about Key Word Signs, posters and the program Picto-Selector. Also read more about the downloads and the use of picto’s. 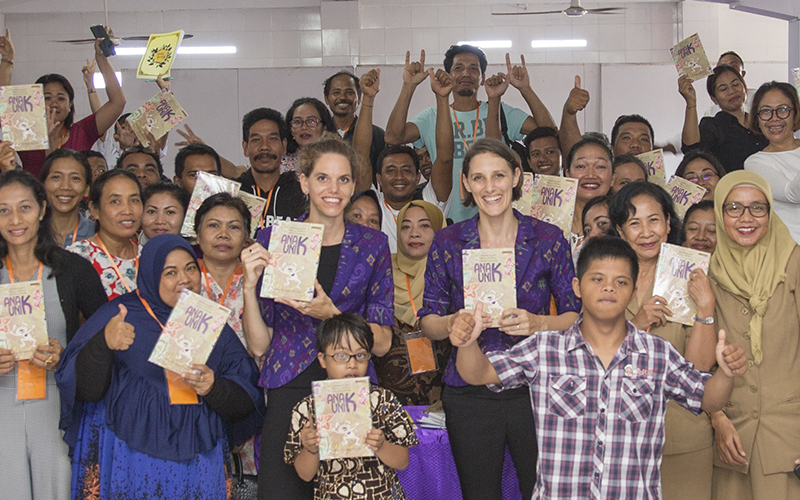 In Indonesia we have passed on our vision and information to Anak Unik Foundation (Unique child), who will continue to work independently and we have every confidence in them! Response of a headmaster in Special education: "We would like to follow more of these interesting and interactive workshops so that we can better understand these children and share experiences about how we can deal with them." Response of a teacher: "Through this workshop I know more about children with an intellectual disability. After this I can apply this knowledge well in the classroom. " “Every child is unique, with or without an intellectual disability.” Get inspired by our work, experiences and (free) downloads of practical tools.